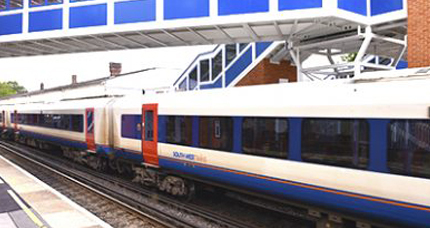 We are easily accessible by train or via our extensive College bus network. 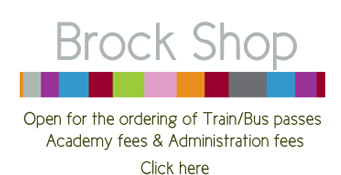 Rail and bus passes can be purchased through the online BrockShop instalment plans are available for annual or termly passes at no extra cost. Applicants seeking financial assistance from their Local Authority or a College bursary are advised to wait until they have their funding agreed before ordering a travel pass. Our extensive bus network affords travel to Brockenhurst from Lymington, Christchurch, Wimborne, Salisbury, Ringwood, Fordingbridge, Totton and the Waterside plus numerous towns and villages in between. The Ringwood area is serviced by an additional lunchtime bus (C16). Brockenhurst services are registered with single and return fares available on all buses (£2.00 flat fare for C16). Passengers must have either an official College pass or a temporary pass (available from the BrockShop during opening hours) when travelling on College services. If they have neither, users will be asked to pay the standard fare for that service (payable to the driver) or to arrange alternative transport. 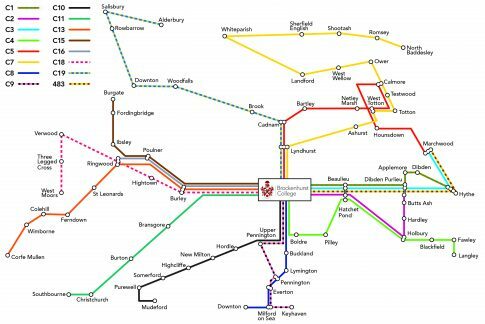 Termly academic season passes from all stations within the south western rail network can be made available with pricing on a station by station basis. The validity of academic season passes has been extended for 2018/19 to include evening, weekend and half-term rail travel. Students must certify that they are in possession of valid insurance and MOT documents. A one way system is in place – all drivers must enter the site via the main College entrance and leave via North Road. 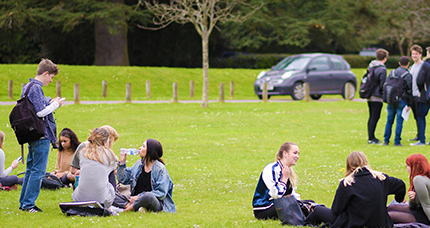 International students who will be completing a full academic year at the College will have a travel pass included in their fees, this may differ for those only completing a short term course. You can check your entitlement below. Parents wishing to report absences can do so by emailing or calling.